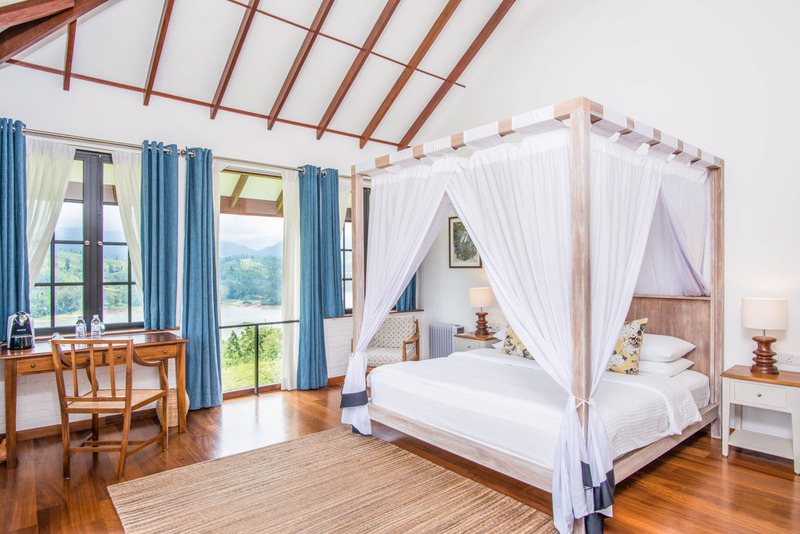 Having recently opened, Camellia Hills is a luxurious five-bedroom bungalow nestled in Sri Lanka’s tea plantations. 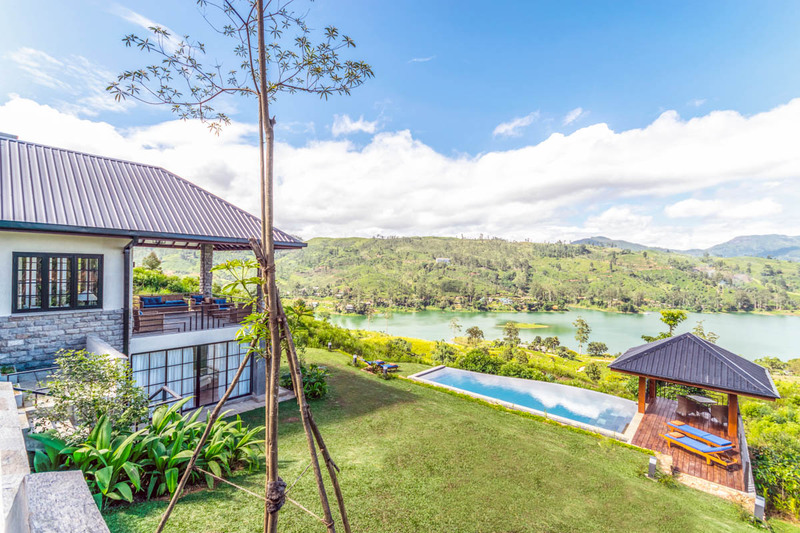 It has a dining room, two lounge areas, and a swimming pool. 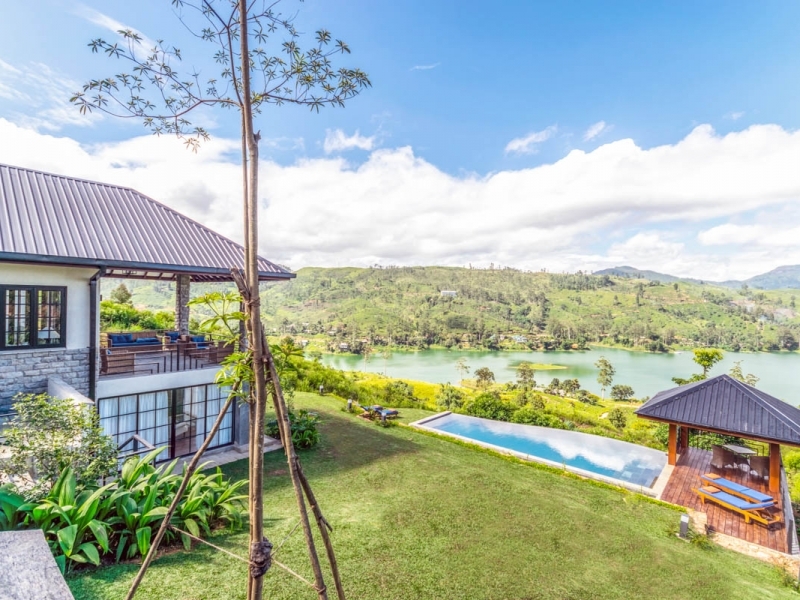 The bungalow boasts breathtaking views across the Castlereagh Reservoir. 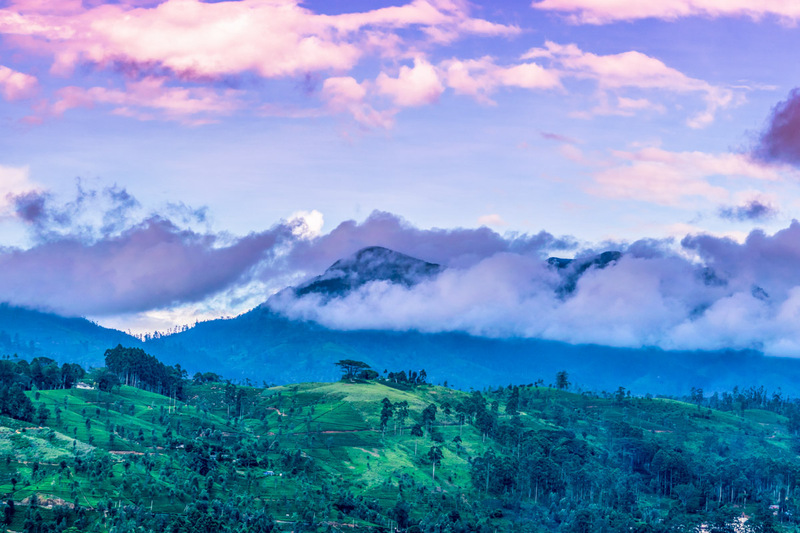 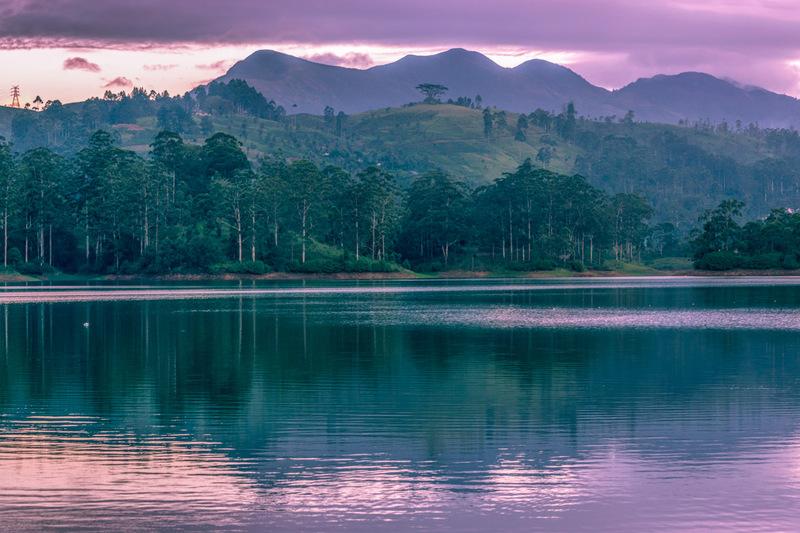 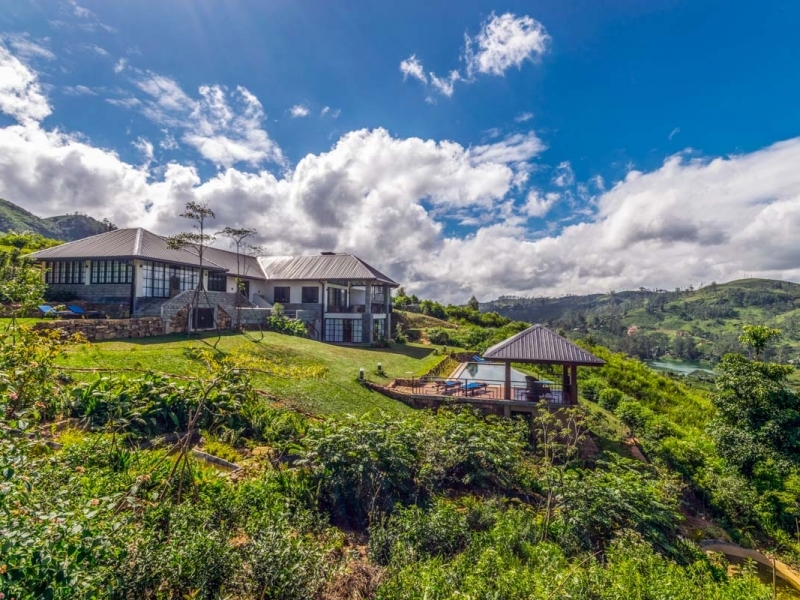 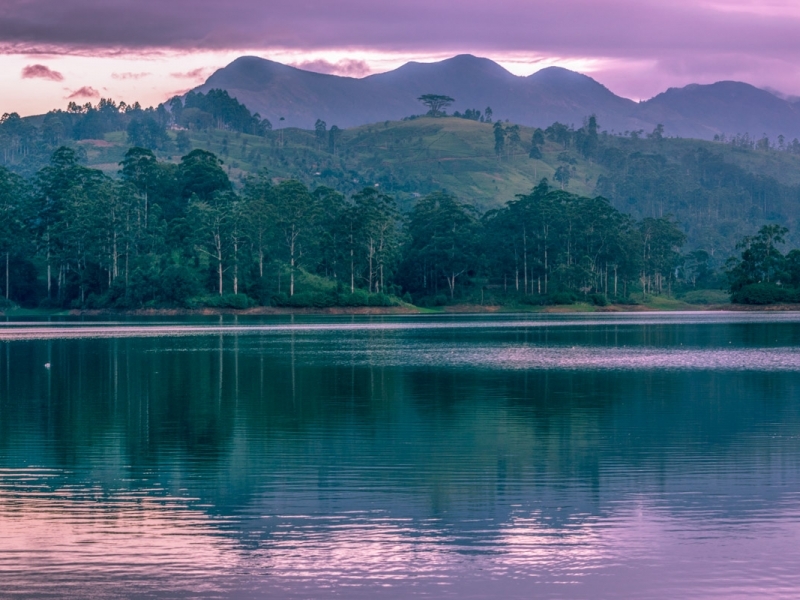 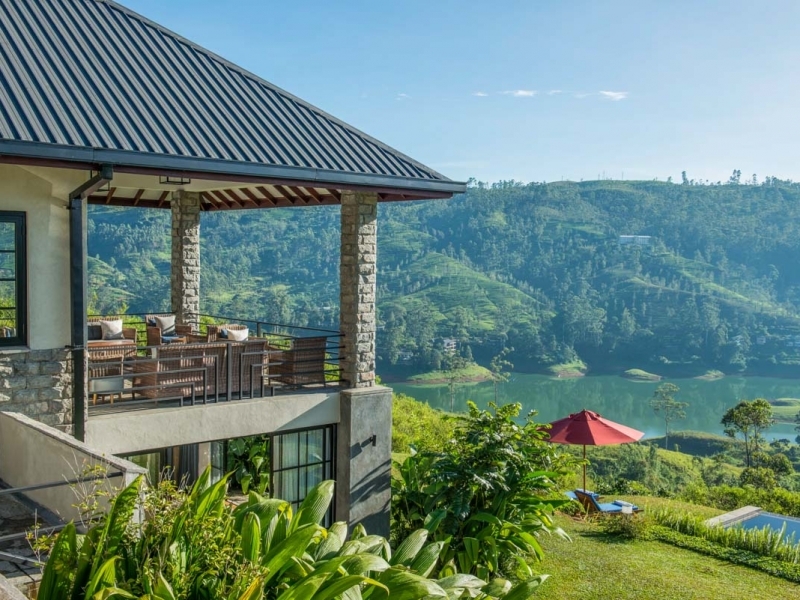 Few locations in Sri Lanka can match the panoramic splendor of the Castlereagh Valley, in the island’s western hill country, and this is the setting for five-bedroom Camellia Hills. 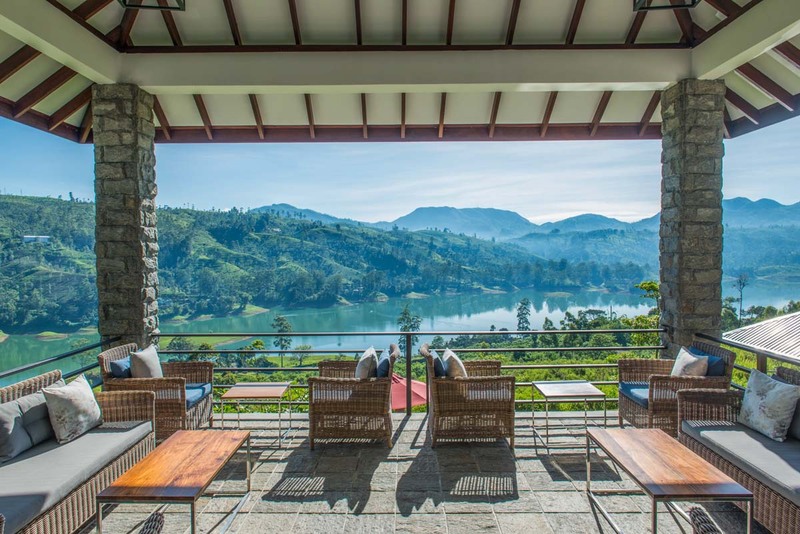 Overlooking a mirror-still reservoir that spans five kilometres of a deep valley, this new boutique hotel sits on a mountainside amidst and overlooking emerald tea bushes and pine forests. 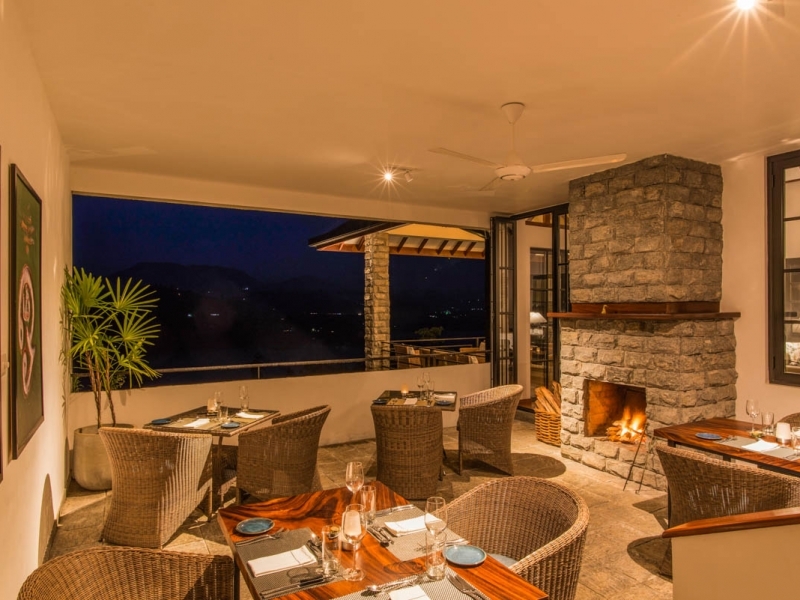 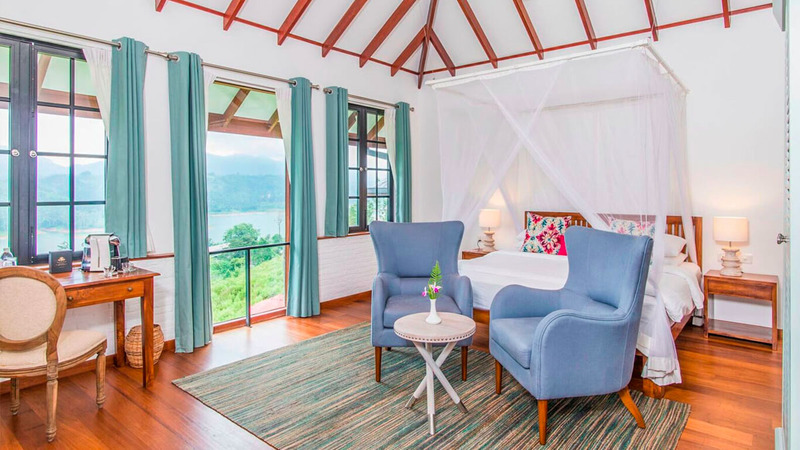 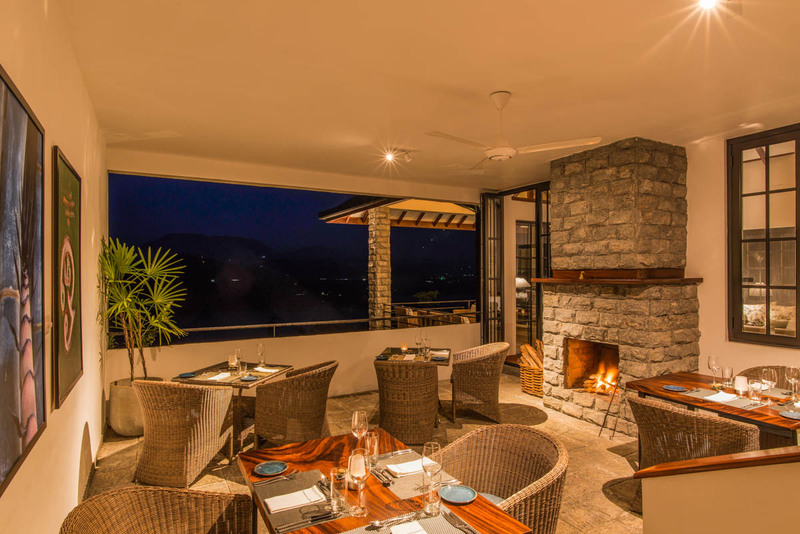 A contemporary interpretation of a tea planter’s bungalow, the hotel’s bedrooms, living and dining areas are located across a series of levels, and flaunt the stunning hill country views. 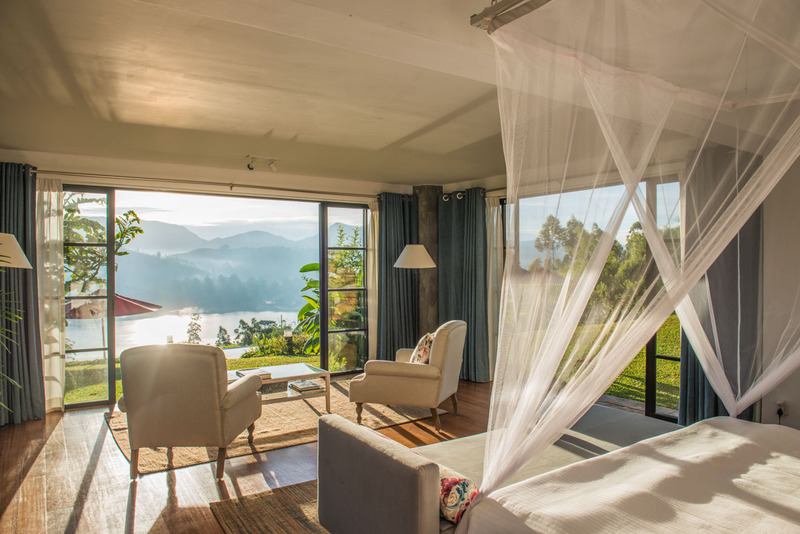 The three Lakeview Bedrooms and two Camellia Bedrooms all offer panoramic views. 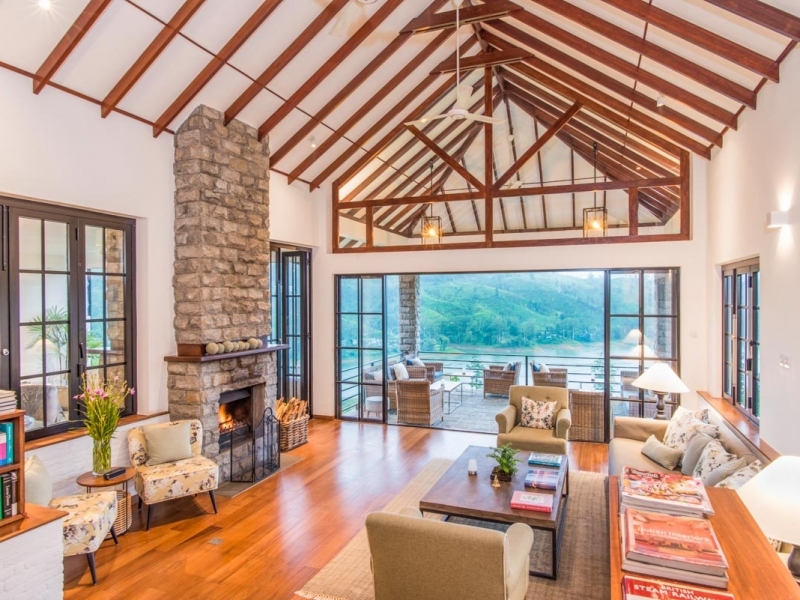 There’s a cosy open plan lounge with fireplace, and guests can dine indoors or on an open-sided terrace to take advantage of the valley vistas. 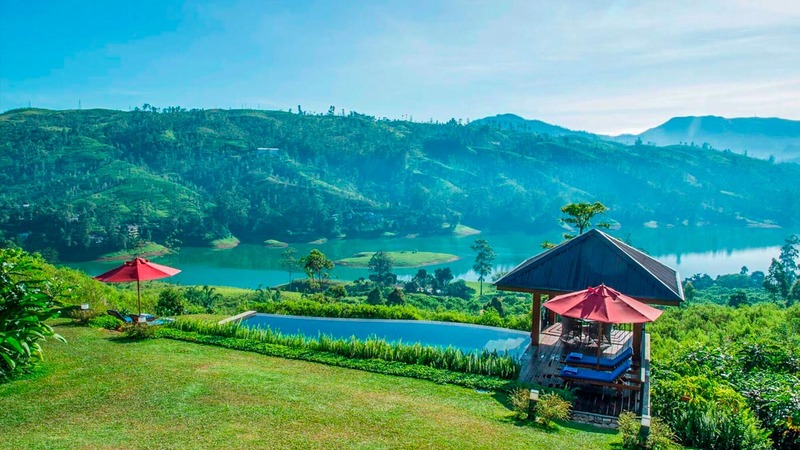 In the garden lies a 10-metre infinity swimming pool and a relaxation ambalama for absorbing the scene. 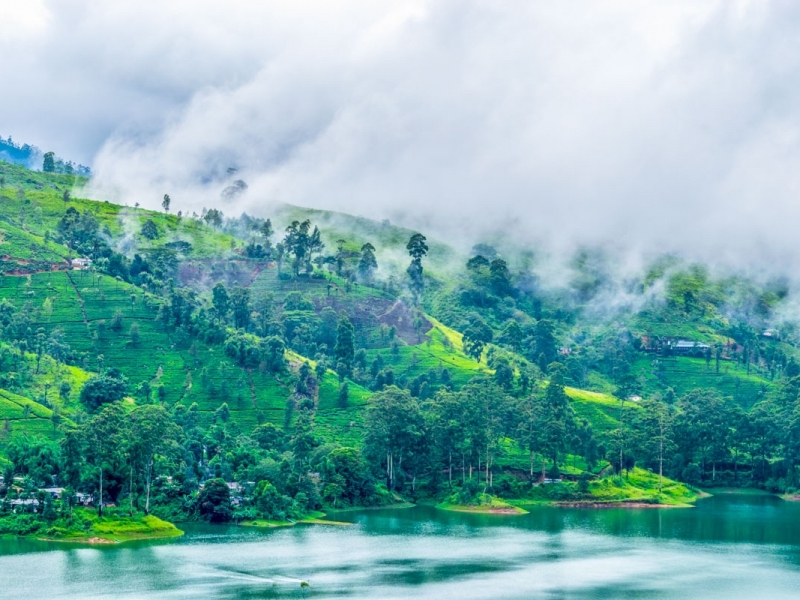 The climate in the hills is warm during the day yet fresher and cooler at night, and ideal for long walks. 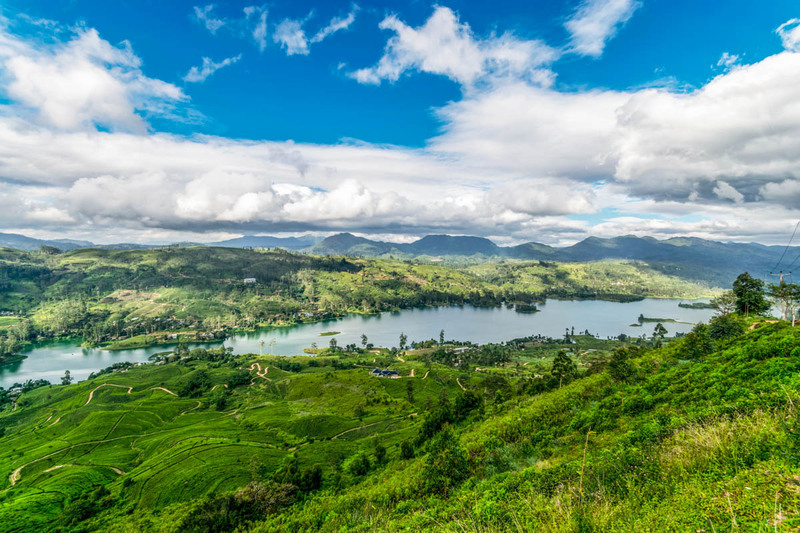 Scenic hikes through tea bushes and forests are a highlight of a stay. 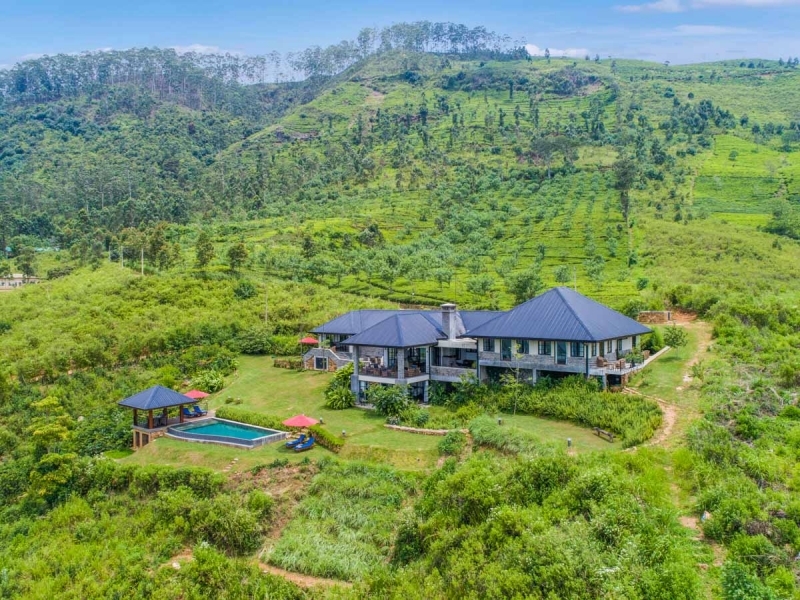 Each bedroom is equipped with wardrobes, armchairs, desks and ceiling fans, and has a bathroom with a powerful shower, twin wash basins and bathtub. 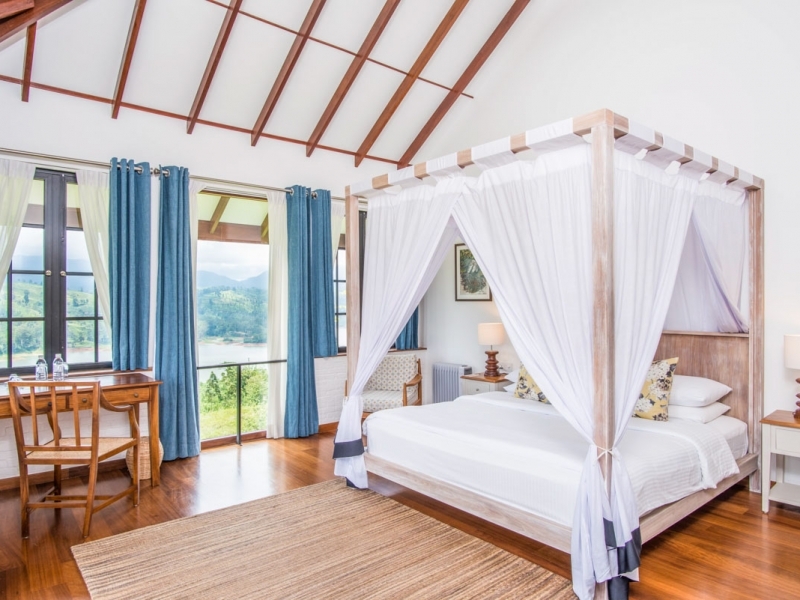 Lakeview Bedrooms also directly access the garden from their private furnished terrace. 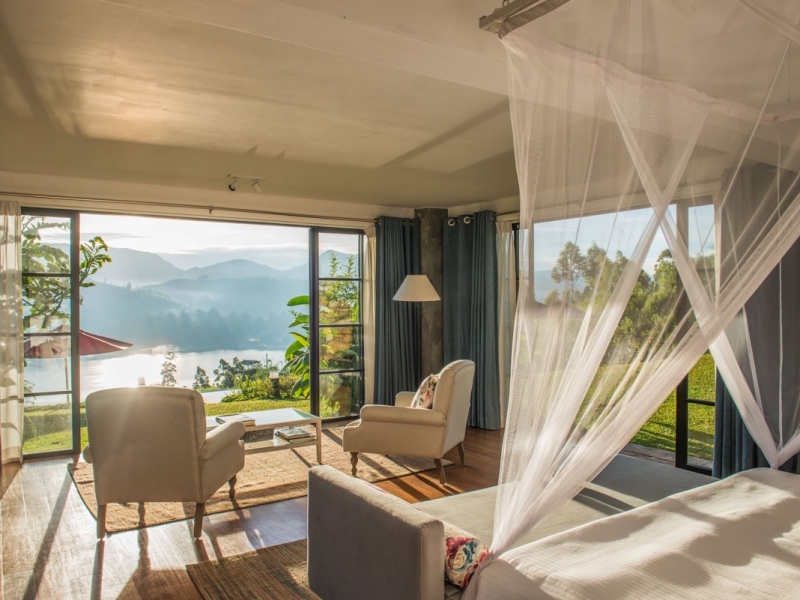 – Dickoya is a big family-friendly bedroom bathed in light. 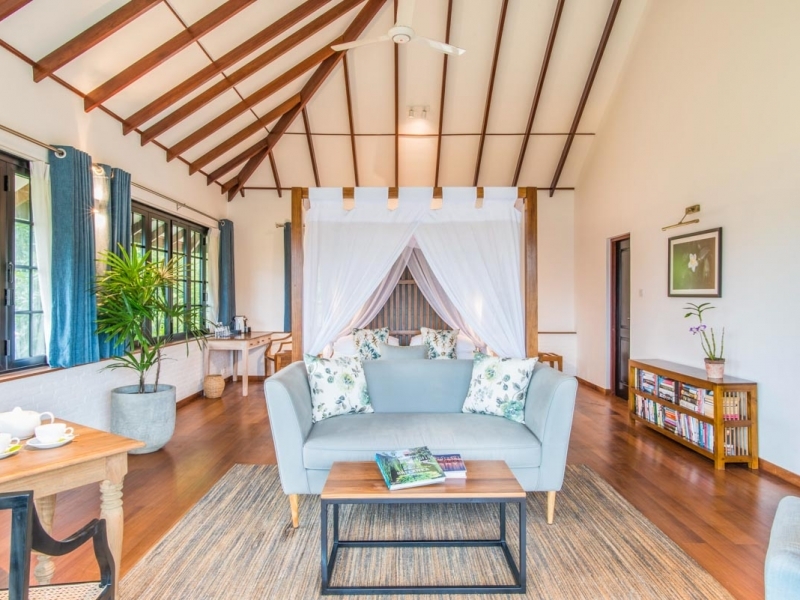 It’s ensuite bathroom, with bathtub, connects it with a second single room with pull-out trundle bed, making it suitable for families of four. 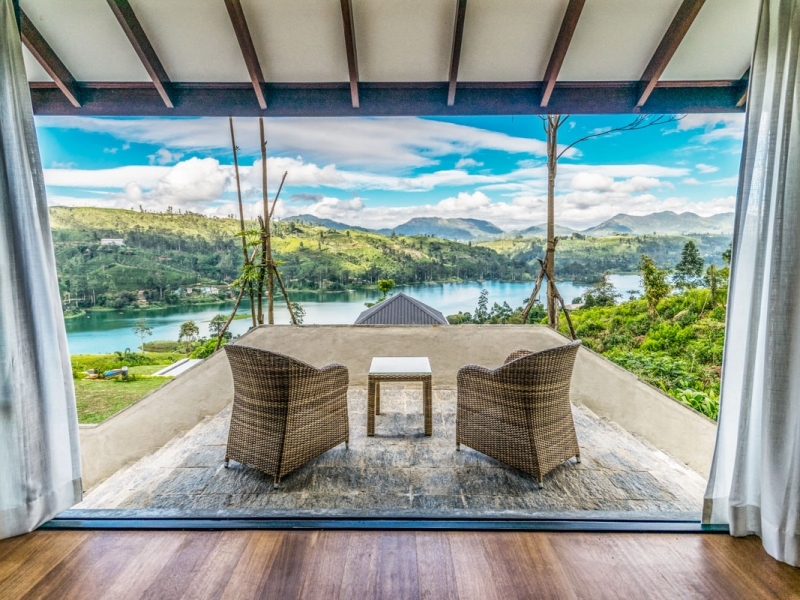 – Osbourne is unique for its twin aspect mountainside and lake-facing views, and has a private decked terrace and big ensuite bathroom with rain shower and bathtub. 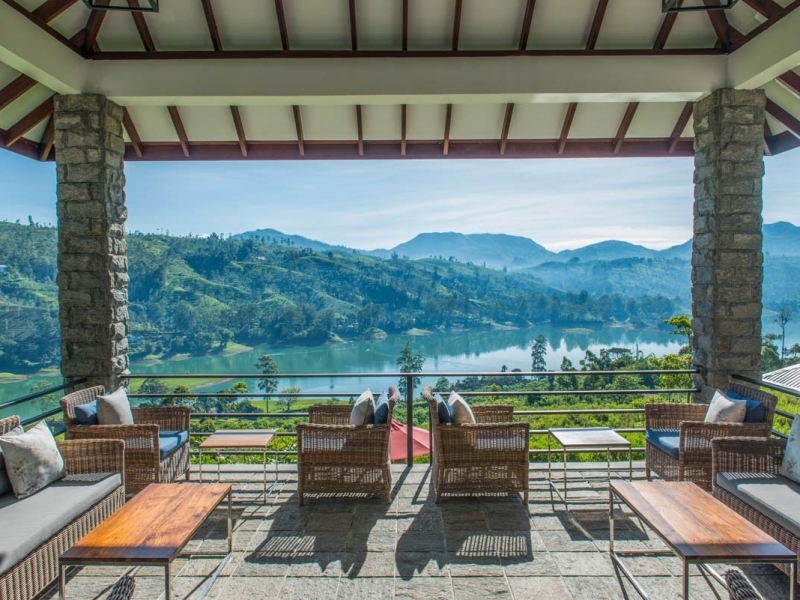 – Warleigh, on the lower ground floor, opens directly onto the lawn through three sets of French windows. 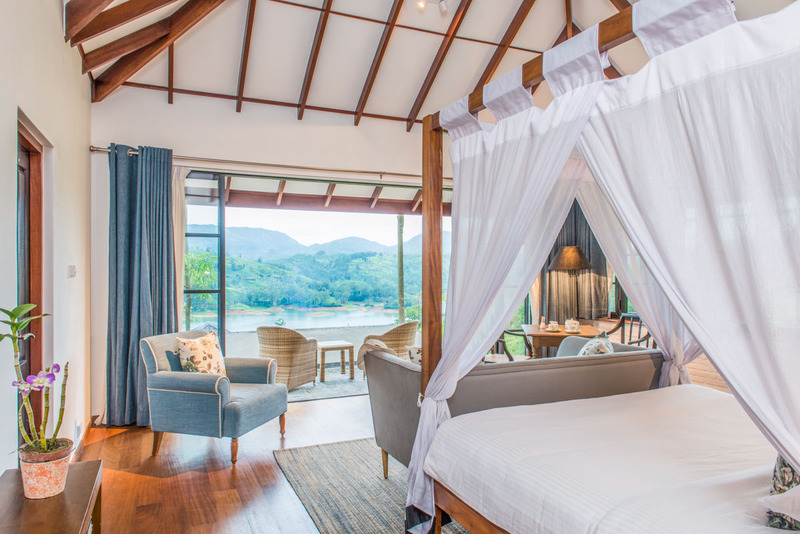 It’s roomy and secluded, and a favourite with honeymooners. 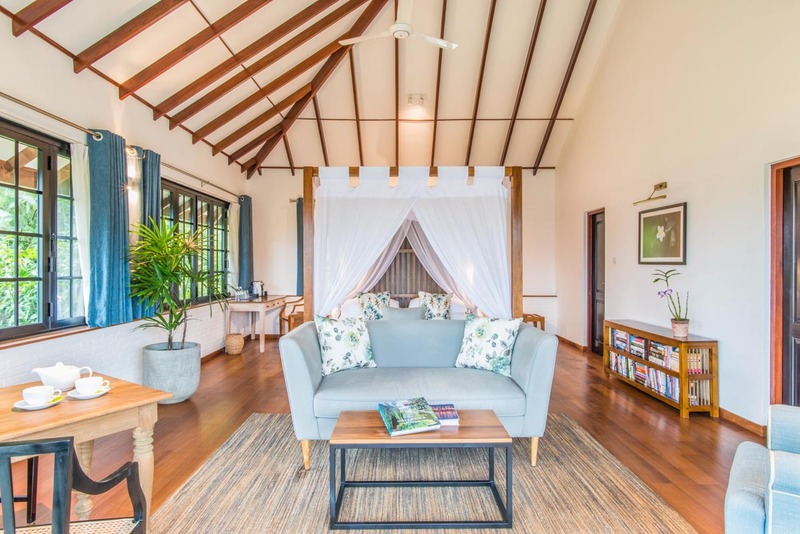 Both bedrooms are equipped with wardrobes, armchairs, desks and ceiling fans, and have private white-tiled ensuite bathrooms with strong showers. 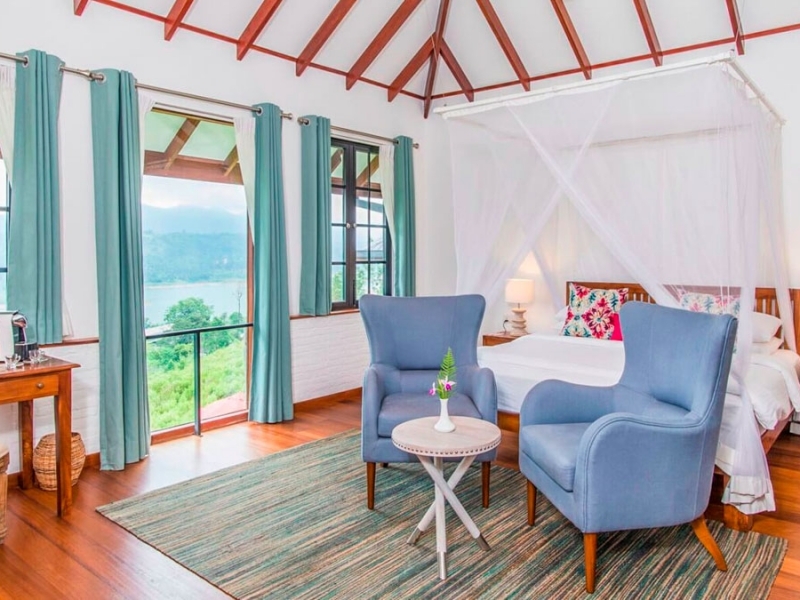 – Norton, to the front of the bungalow, is a Castlereagh Lake-facing room with king-sized four-poster bed, sitting area and ensuite bathroom. 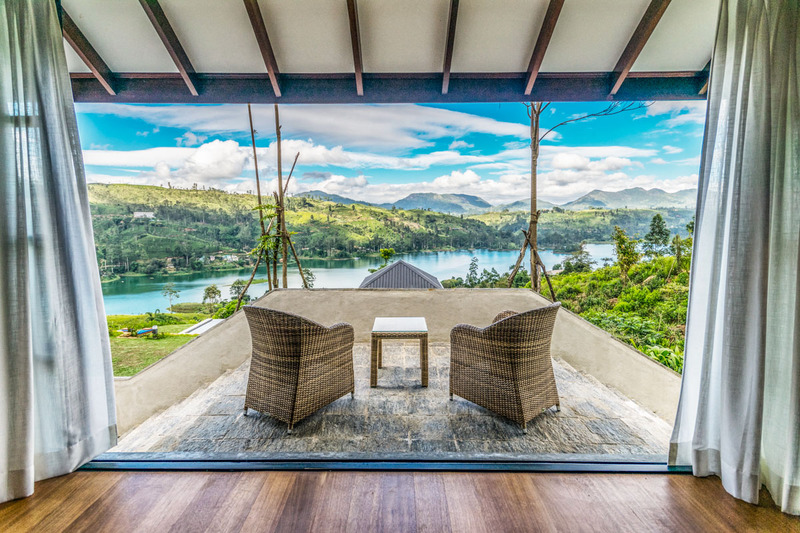 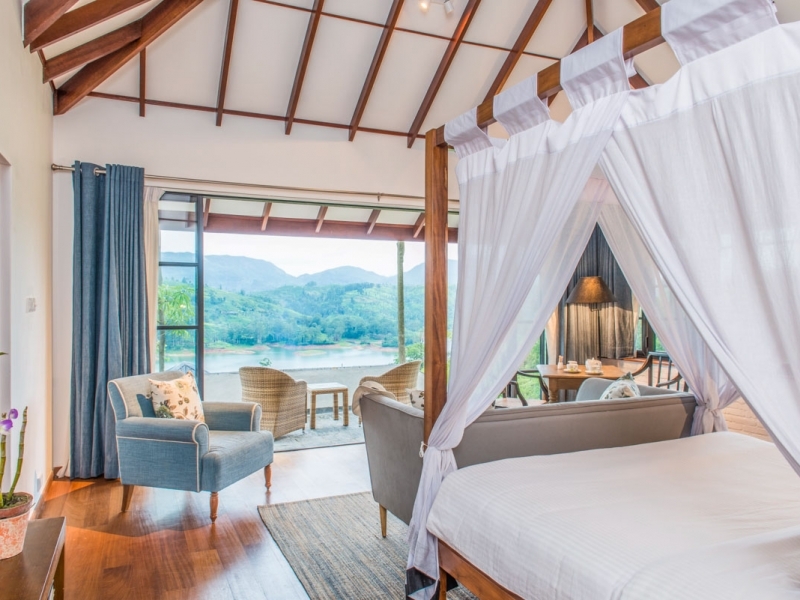 – Twin-bedded Maskeliya gazes south easterly across a lush jungly hillside, and is an elongated room with a private garden-view terrace. 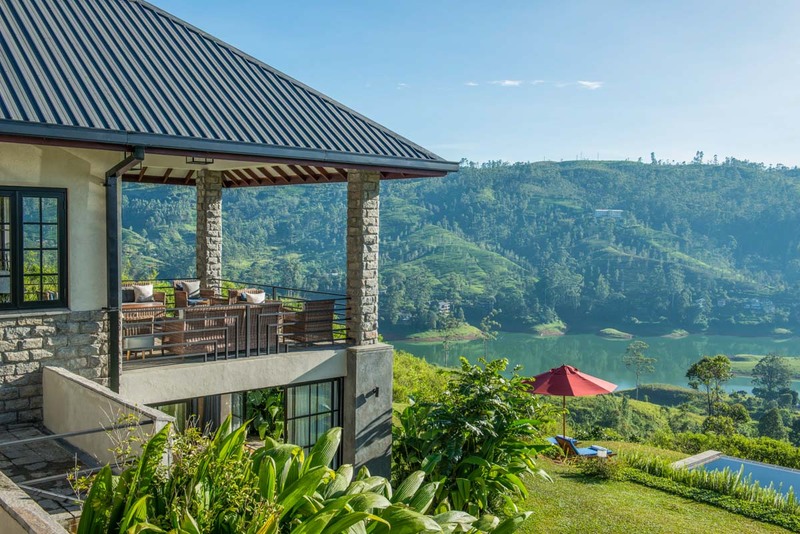 Camellia Hills is located in the Bogawantalawa Valley, known as the Golden Valley of Tea. 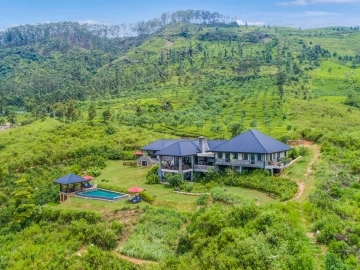 The property overlooks the Castlereagh reservoir in the central highlands in Hatton. 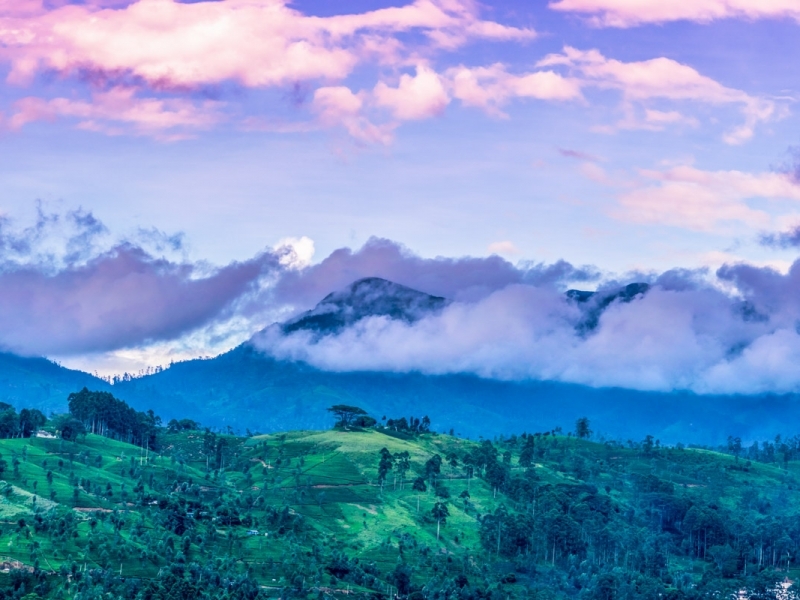 Hatton can be accessed by road or by train. 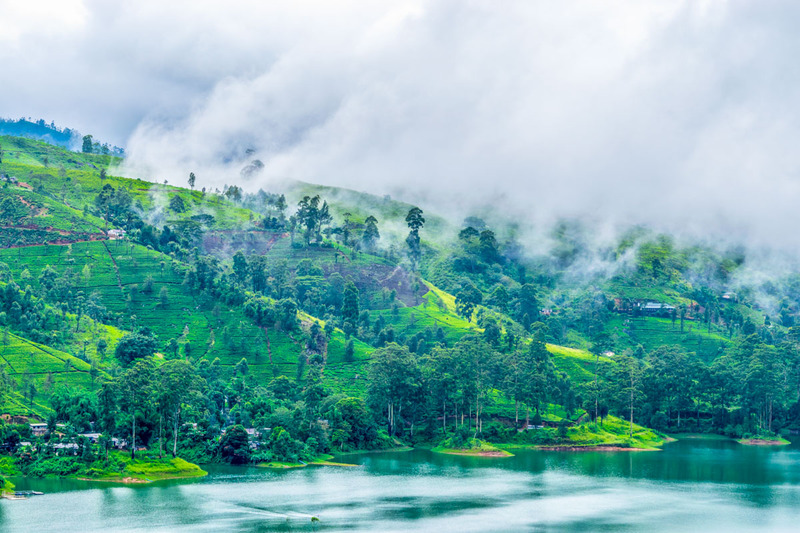 Flanking Castlereagh Reservoir on either side are steeply rising hills sporting acres of neatly manicured tea estates topped by thick manes of trees. 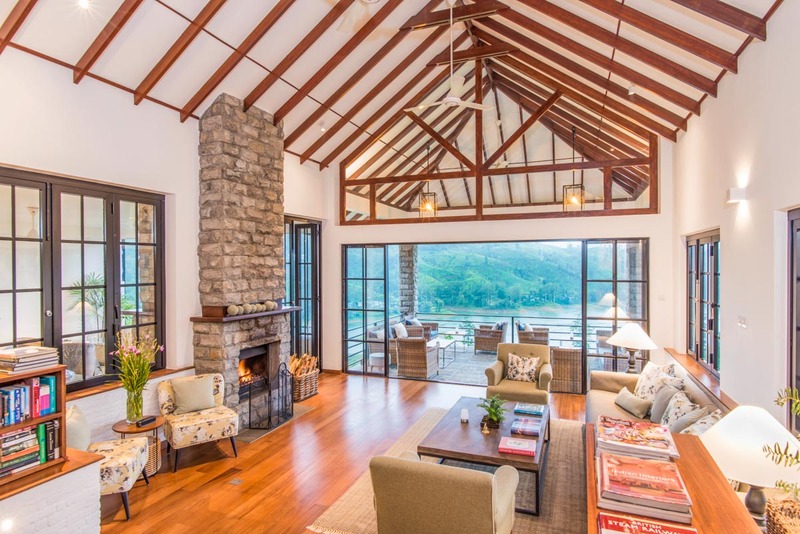 The closest town to Camellia Hills is Dickoya, a bustling settlement standing at an elevation of 1,200-metres, notable for its colonial-era clubhouse, the Castlereagh and Dickoya Cricket Club (formerly the Daramulla Club) whose ageing timber-panelled interiors take you back in time. 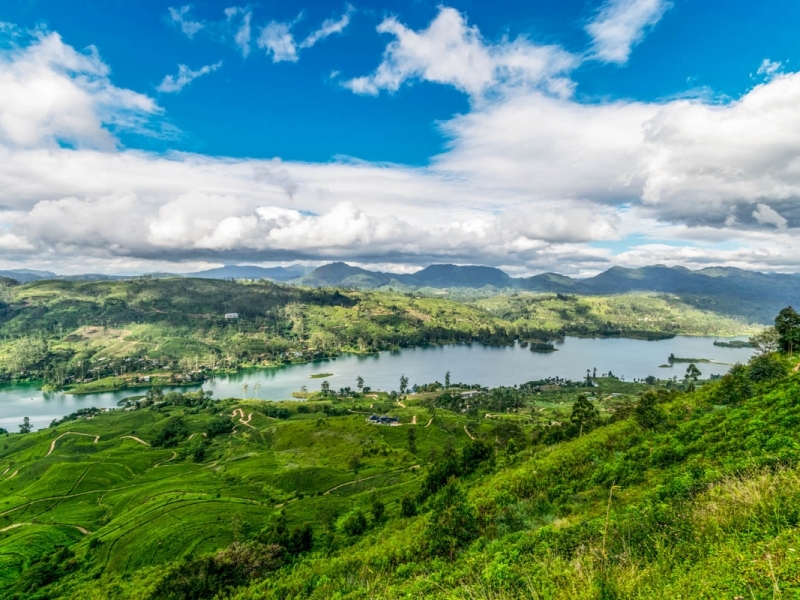 Enroute to Dickoya is Warleigh Church, a bijou British-era lake-facing chapel whose graveyard is littered with tombstones engraved with European names – testament to the region’s colonial history where European planters crossed oceans to carve out a future in Ceylon Tea. 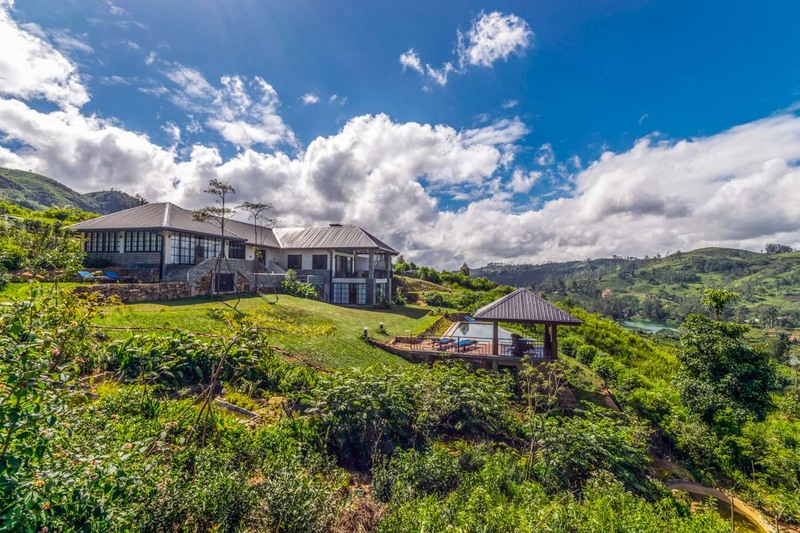 One of the best ways to travel into and within the Hill Country is by train, and the closest railway station to Camellia Hills is Hatton, a busy provincial town with a lively local market. 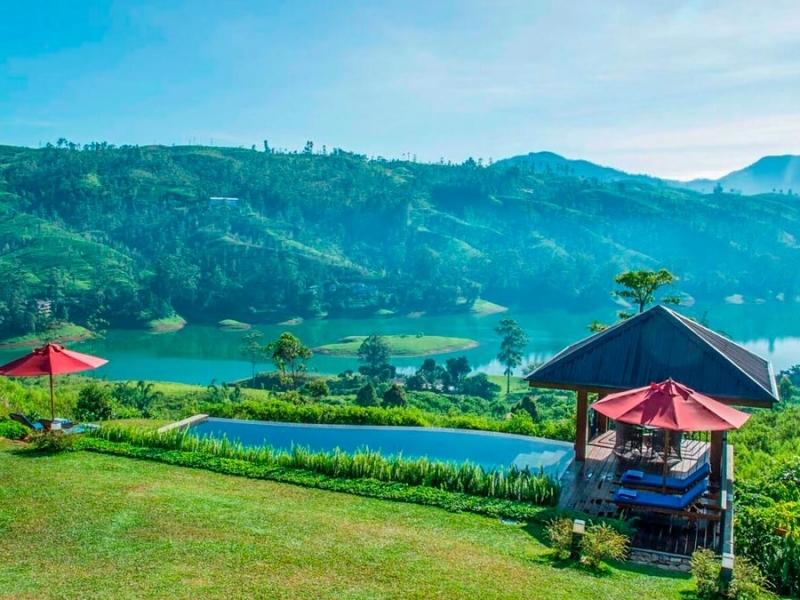 Alternatively, swoop in on a seaplane, landing in Castlereagh Reservoir, and transported up to the bungalow along the tea lined estate roads.